Playing role cards each round to perform actions isn’t a new idea but the fresh ideas in this game sounded like they would give it a new and interesting twist. In Havana, players try to earn as many points as possible by using workers, cash and materials to build buildings. Each turn, players will carry out two actions based on the role cards they have in front of them. These actions include things like taking half the cash in the middle, gaining workers, stealing materials from other players, and more. 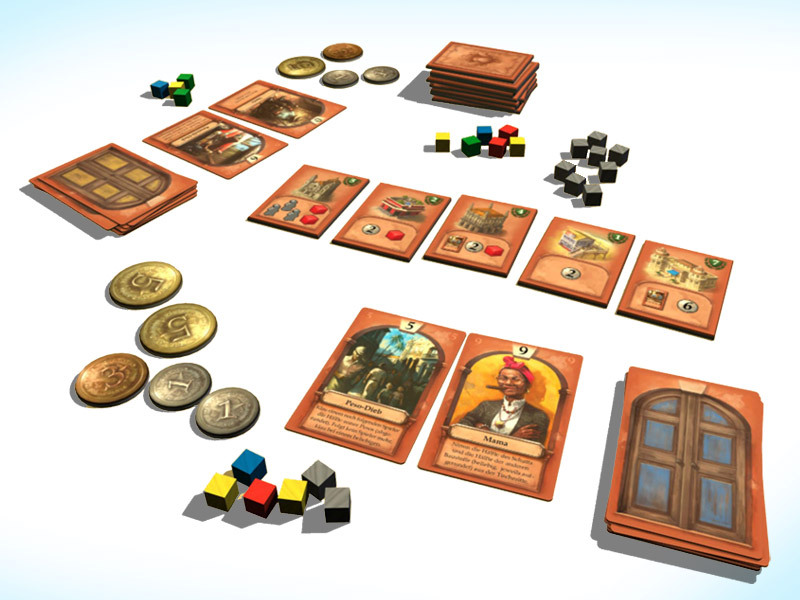 Each player starts the game with an identical set of role cards to pick from.